Step 1. 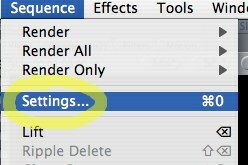 Go to your Sequence Settings. Step 2. 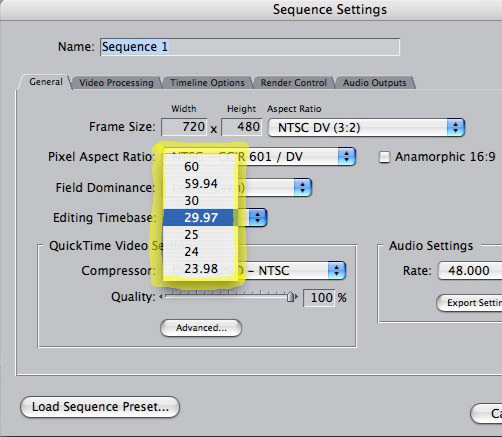 Set your sequence resolution and framerate to match your still images. Notice that there’s no straightforward way to set low frame rates like 12 or 10fps, common in animation. For now, if your desired framerate isn’t offered, pick the closest even multiple. If you would like 12fps, for example, you’ll need to pick 24. Yeah, hold on, it gets better. Step 3. Go to your User Preferences. Step 4. 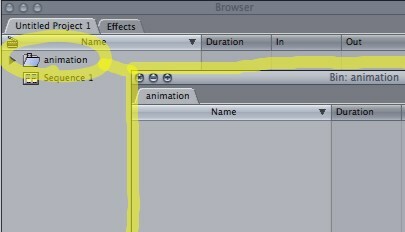 In the Editing tab, set your Still/Freeze Duration to the existing frame rate divided by your desired frame rate. 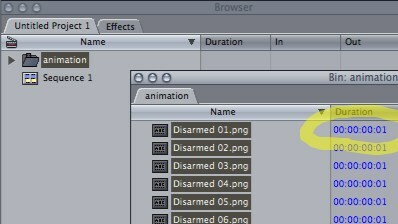 If you were able to set the frame rate you wanted in Step 2, then your Still/Freeze Duration should be 1 frame. If you wanted 12fps and had to settle for its closest multiple, 24, your Still/Freeze Duration should be 2 frames. Silly, isn’t it? But that’s what you’ve got to do. Step 5. Create a new bin, and open it up. Step 7. 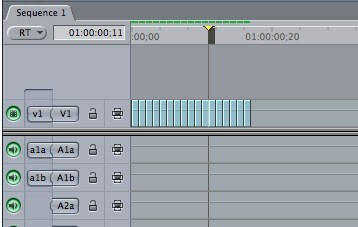 Drag and drop your entire bin onto your sequence timeline. The frames will now play back at their proper frame rate, ready for editing or rendering. 1) Frame Size? : What frame size should I import if I want to export the final movie to dvd? Will this change if I would like to add the letterboxing (i think that is what you call it, a black frame around movie)? Will letterboxing changed the aspect ratio? Can DVDs read HD video? If so what frame size should i have? I notice on your website you use both HD and DV formats. Your newer stuff has HD format, is there a reason for this? Thank you. Does this mean that I can’t have a sequence of stills that run at 18fps? I have 15000 images that I need to put on a program (which I thought would be Final Cut!) to be seen at 18fps. If not Final Cut, do you have any suggestions? Thanks again. 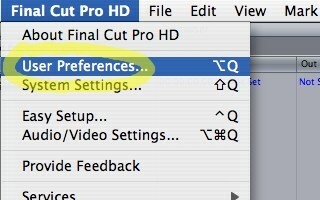 I am trying to import a EPS file (lineform drawing) into final cut express 4.